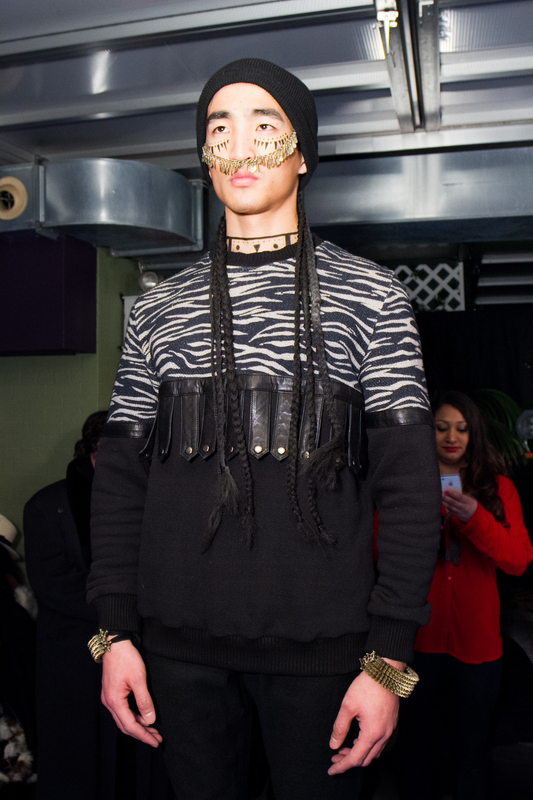 Sheena Trivedi new collection for FALL WINTER 2014/15 was presented on Saturday, February 8th at NYFW in NYC. 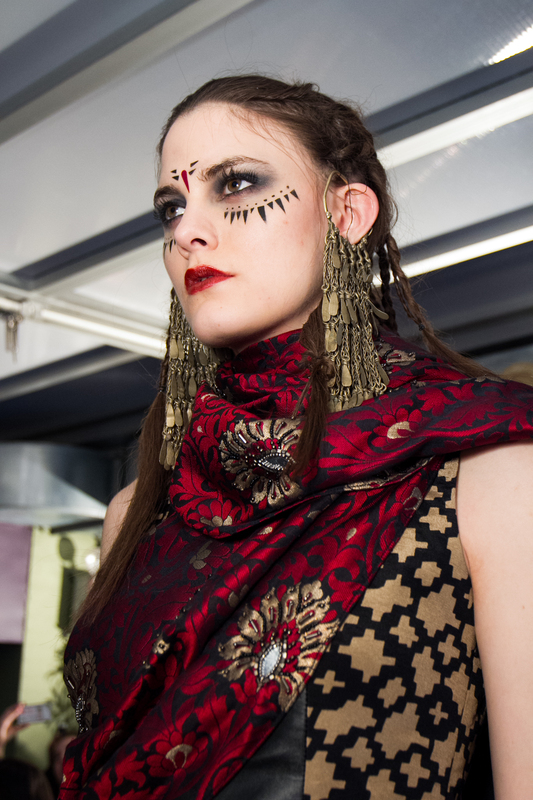 Inspired by BANJARA tribe in India and One of the favorite characters “MAD MAX”, Sheena Trivedi presented very intresting detailed collection with futuristic and traditional details fused in one picture. These are some details from the collection that we love, and we wanted to share it with you. Pictures from the whole collection will be posted soon! Mens make up from the Presentation.